Commercial Real Estate Training: Leverage the Florida Market! Expand beyond residential real estate! Interested in taking your real estate career to the next level by getting involved in commercial real estate? Our four seminar program is designed to teach you everything you need to know to go out and chase the big commissions that commercial real estate is known for. Don’t limit yourself to just residential properties; diversify your skills to take advantage of both markets. Below you will find complete details about the topics covered in each Commercial Real Estate seminar. Please contact our helpful Career Counselors at 1-800-732-9140 if you have any questions. We are happy to assist. Gold Coast offers four separate seminars for Commercial Real Estate Training. Click on the Plus + sign next to the course below to learn more. This information packed seminar provides an in-depth discussion of essential commercial- investment topics including opportunities in the commercial industry, various types of commercial property, trends impacting commercial real estate, measurement stardards for buildings, structuring tenant rental and other property revenue structuring property operating expenses, leasing, the advantages and disadvantages of investing and how markets play a role in investment decision making. Who Should Attend? If you want to rise above your competition, impress your clients and earn more business, you must attend this seminar! Anyone who is considering a career in commercial- investment real estate, or who wants to broaden their professional opportunities and increase their earning potential, will benefit from this seminar. Based on the nationally published book which was written by the presenter, Joseph Petrole, MAI, CCIM, a real estate industry insider with more than 35 years of experience, this manuscript is chock full of information, with end of chapter multiple choice and “number crunching” questions, and an addendum with an answer key, a practical web site directory, a useful glossary of terms, and a quick reference book index. This information packed 2-day seminar provides a complete overview of why Financial and Investment Analysis is so crucial to understanding commercial real estate, as well as how it is used in the decision making process for buying, selling and investing. Using a 10-unit rental apartment property as a “case study”, the seminar answers the question, “What is it worth?”, by presenting an in-depth discussion of all the “must know” topics including understanding and using financial statements, how to use Direct Capitalization, the art and science of financial projections, forecasting and projecting income during an ownership period, how to use Discounted Cash Flow Capitalization, the right way to use financing and comparing all cash investments to financed investments. Anyone who wants to know “how the numbers work and what do they mean”, master a clear understanding of commercial-investment real estate and the math used by top investors that can be put into your daily practice immediately, must attend this seminar! Investment knowledge is financial power and with it you will rise above your competition, impress your clients, and earn more business by increasing your professional value and worth. What is Direct Capitalization and why use it in investments? What is Yield Capitalization and why use it in investments? Why use financing to buy real estate? Manuscript is chock full of useful information, end of chapter “number crunching” questions, a practical web site directory and a useful glossary of terms. This information packed 2-day seminar provides a complete overview of why investors buy commercial real estate as well as how to buy it. Market savvy investors who are building wealth acquiring commercial real estate approach the task as a business person would; they begin with a clearly defined purpose of the investment and have a clearly defined plan to getting their deals done! Both Investing fundamentals and “must know” advanced methods, techniques and tools that successful investors use are covered in a clear and useable way that will immediately increase your value to your clients, allow you to win more business and get more commercial real estate transactions done. Based on years of successful professional investment experience in purchase transactions, buyer due diligence, valuation, financing and advisory services in deals ranging from $2,000,000 to over $500,000,000, gained at leading asset management, valuation, brokerage and investment banking firms, this information packed seminar presents an in-depth discussion of a proven 8 Step Process to buy commercial real estate like a seasoned “professional”. Presented in a logical step-by-step approach, this seminar literally walks you through all the “must-know” 8 steps to buy property, in the order in which they will likely arise. With just the right balance between what is “real world practical” and what is academic, this unique 8 Step Process provides a complete planning guide along with numerous checklists, forms, comments, cautions and suggestions that will leave you fully prepared. You will obtain a clear understanding of the right way to buy commercial real estate that will meet investments goals as well as get financed so that you can put it into practice immediately. Introductory, intermediate and advanced purchase concepts are explained in a step-by-step, clear and useful way, with in-depth discussions of the 8 Step Process to buy property: (1)figuring out what type of investor you are and what your goals are, (2) deciding how you are going to pay for it, (3) who should be on your investment “team” and why, (4) how to take your first look at a property and then decide if you should even make an offer, (5)how to make an offer, (6) the art and science of negotiations and terms, (7) the right way to inspect and investigate the property you want to buy,(8) building flexibility into a contract to assist in negotiating leverage and closings. There are also three “break out” discussions. First, with the goal of insuring that your offer is compelling to the seller, are Letters of Intent (LOI), including variations in sections of an LOI, and a comparative review of three actual LOI’s for the same property, with a discussion of their positive and negative attributes. Second, with the goal of insuring that you understand the financing process and get the right loan at the best terms, are lender financing Loan Commitments, and a comparative review of three actual Loan Commitments for the same property, with a discussion of their positive and negative attributes. Third, with the goal of insuring that you know what to look for, ask the right questions, buy only the right properties, at the right price and at the right terms, is a review of a comprehensive “Buyers Due Diligence Checklist”, which covers the 12 “must know” areas of property “due diligence”, addressed by more than 250 questions. The “Buyers Due Diligence Checklist”, has enough information for you to create a “custom tailored” questionnaire which will then perfectly fit your Property Transaction in a practical and useful way, which will allow you to discover possible points of negotiations, price adjustments and financing considerations. Anyone who has an interest in how successful commercial real estate transactions get done must attend this seminar! If you are considering buying commercial property, already own commercial property or are a broker or a counselor, then this seminar is designed for you. If you want to gain the mindset of a seasoned investment professional, which will increase your skill set, impress your clients and let you do more commercial real estate transactions, then you must attend this seminar! The combination of the 8-Step Buying Process, along with the review of LOI’s, Loan Commitments and the 12-Part Buyers’ Due Diligence Checklist provide a “bullet-proof” framework to successfully buy properties that meet the buyer’s investment objectives, that will actually get financed, and will close with resultant transaction commissions earned. Investment knowledge is financial power and with it you will rise above your competition, impress your clients, and earn more business by increasing your professional value and worth. This seminar has been attended by bankers, brokers, investors, property owners, joint venture partners, underwriters, loan officers, accountants, appraisers, CPA’s, attorneys, investment bankers, hedge fund managers, financial officers, investment officers, real estate counselors, and property and investment managers. Based on the book which was written by the presenter, Joseph Petrole, MAI, CCIM, a real estate industry insider with more than 35 years of experience, this manuscript is chock full of information, with end of chapter multiple choice and “number crunching” questions, and an addendum with discussion questions and actual examples of purchaser Letters of Intent, Financing Loan Commitments and a 12 part buyers Due Diligence Checklist. This information packed 2-day seminar provides a complete overview of why investors buy commercial real estate as well as how markets work to assist investors in achieving their wealth building goals. Market savvy investors understand that it’s not just about a property’s “location, location, location” but more importantly it’s about market “timing, timing, timing”. Both Investing fundamentals and “must know” advanced market and forecasting trends that successful investors use are covered in a clear and useable way that will immediately increase your value to your clients, allow you to win more consulting business and get more commercial real estate transactions done. Based on years of successful professional investment experience in purchase transactions, buyer due diligence, valuation, financing, market analysis, market forecasting and advisory services in major US markets, in deals ranging from $2,000,000 to over $500,000,000, gained at leading asset management, valuation, research, brokerage and investment banking firms, this information packed seminar presents an in-depth discussion of how to buy commercial real estate and how real estate markets work. You will learn what “insiders” have learned; that when you buy commercial real estate, what you are really buying is a part of the market that real estate is located in. First, there is a review of a proven 8 Step Process to buy commercial real estate like a seasoned “professional”, which was first introduced in the “Acquiring” seminar. 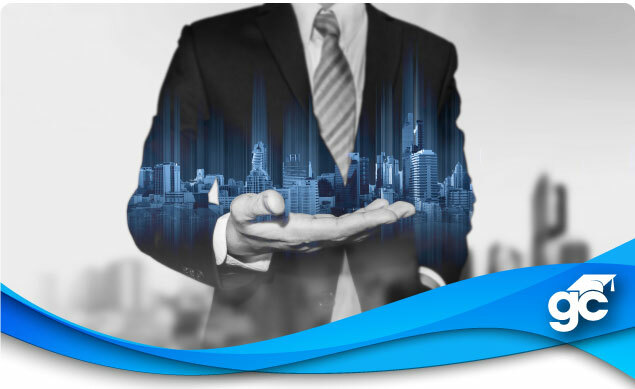 Presented in a logical step-by-step approach and with just the right balance between what is “real world practical” and what is academic, you will obtain a clear understanding of the right way to buy commercial real estate that will meet investment goals as well as get financed that you can put into practice immediately. Second, there is a practical discussion of real estate markets in plain language which can be put to work immediately. What markets are and how they are used by real estate investors to enhance their wealth building strategies. You will learn how to focus your investment objectives to the right part of the real estate market, which will increase your investment clarity and drive investment success. Next, you will learn about real estate market cycles, what they are, how they work. Investors place great value on knowing where they are within a real estate market cycle because they know that they can get “caught” in an unpleasant part of that cycle. You will learn about the predictable and cyclical nature of real estate markets, the 4 phases of the market and what each phase looks and “feels” like. We will move from economic terms such as a “recession” phase, to better known jargon such as a “buyers” market. The movement through market phases will be discussed in economic terms as well as more intuitive terms using two widely accepted visual aids to illustrate real estate market cycles: the “Time Clock” and the “Waveform”. This mix of economics and intuitive visual aids will give you a clear understanding of markets, and you will realize that “the market does make smart people money”. There are also two “break out” discussions which can be applied to any real estate market. First is a simple 6 question survey about cost, price and value. Answering with one of the three options provided will immediately give you a realistic understanding of which way real estate risk and return are moving and will help you make better investment decisions. Second is a simple 8 question survey about specific market trends such as buyers, prices and cap rates. Answering with one of the four options provided will immediately give you a quantified measure of which phase of the real estate market you are in right now, which phase you are leaving and most importantly, which phase is next. Imagine the value added to your investment decision making process when you can definitively predict future conditions in your selected market and selected property type. It is literally like having a “crystal ball” for forecasting the future. Anyone who has an interest in how successful commercial real estate transactions get done and how market cycle’s effect returns must attend this seminar! If you want to gain the mindset of a seasoned investment professional, which will increase your skill set, impress your clients and let you do more commercial real estate transactions, win more consulting assignments, then you must attend this seminar! Investment knowledge is financial power and with it you will rise above your competition, impress your clients and earn more business by increasing your professional value and worth. This seminar has been attended by bankers, brokers, investors, property owners, joint venture partners, underwriters, loan officers, accountants, appraisers, CPA’s, attorneys, investment bankers, hedge fund managers, financial officers, investment officers, real estate counselors, and property and investment managers. What is a Real Estate Market? What is a Real Estate Market Cycle? These seminars are for anyone who is interested in commercial real estate from either the business or investment aspect. The seminars are led by Joseph Petrole. In addition to many years of practical experience as a commercial real estate broker, Joseph is a licensed real estate instructor, a state board certified general real estate appraiser, a MAI Member of the Appraisal Institute, and a CCIM member of the CCIM Institute. Joseph also holds a degree in finance from the University of Miami. He is ready to share his knowledge and put you on the road to success in commercial real estate. View the Course Schedule tab for a list of upcoming classes and locations. For more information, call one of our helpful Career Counselors at 1-800-732-9140. CS-2 Financial and Investment Analysis for Comm. R.E.